Home PRENATAL CARE Prenatal Vitamins What You Should Know About Prenatal Vitamins? Prenatal vitamins are recommended to women who are planning a pregnancy, are pregnant or are nursing. They are essential to maintain a good balance of the nutrients both for the mother and the yet unborn baby. A multivitamin will contain numerous minerals and vitamins but the most important are folic acid, calcium and iron. 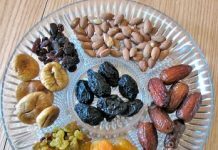 These minerals are essential for maintaining the good health of the mother and the child. You can never start too early for your child. Prenatal multivitamins are recommended even if a woman is trying to conceive. This is especially essential to avoid any neural tube damage that may occur to the baby. Neural tube damage leads to conditions like spina bifida and mental retardation. This damage generally occurs within the first 3-4 weeks of the pregnancy due to insufficient folic acid. In most cases a woman is not even aware that she is pregnant. Thus a continuing intake of multivitamins will prove to be a boon. Multivitamins help to overcome any deficiency in the diet of an expectant mother. Folic acid and iron are essential to maintain the hemoglobin levels of the mother. Calcium supplements are vital as the baby will draw the minerals that it needs for bone formation. Insufficient calcium will mean that the mother will lose her bone density. 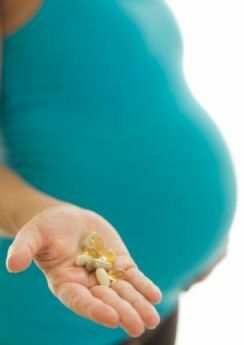 All prenatal multivitamins are not the same and will have different combination of vitamins and minerals. Take your midwife’s or doctor’s advice on which ones suit you the best. Also an overdose of these vitamins are no good as the body will absorb only what it requires and will try and flush out any excess. In case the pills make you more nauseous than usual you will need to consult your practitioner who will help you chose ones that suit you.